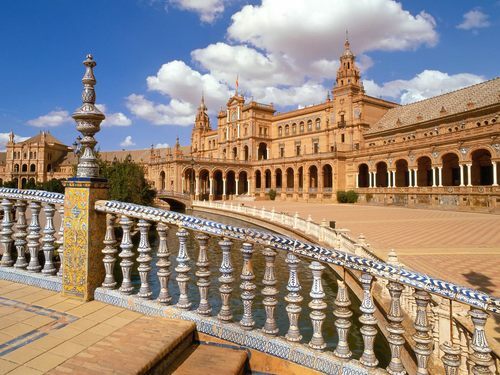 Seville. . HD Wallpaper and background images in the Spain club tagged: spain europe wallpaper seville plaza de espana. This Spain wallpaper might contain quad, quadrangulaire, quadruple, and quadrangle.